The windows were made in 1500-17 by the King's glazier, Barnard Flower. Although it's remarkable that the windows survived, they have suffered some damage over the centuries. The Reformers and Puritans may have whitewashed over some of them, but at least they didn't smash them. The windows were removed for safekeeping during World War II and replaced in 1945-47. All the windows have been cleaned, restored, and re-leaded over time. 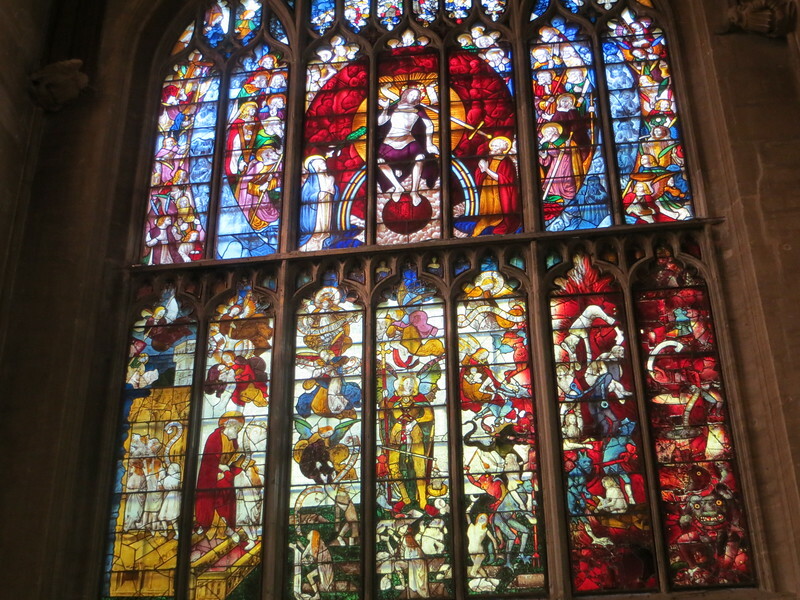 Perhaps the most amazing window in the church, is this one, depicting the Last Judgment.